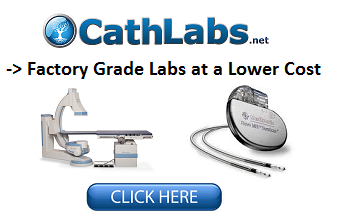 Choosing an ECP or EECP Machine / Device may be the most important component of your evaluation. Your final decision on product & company is a commitment that you will likely have to live with for several years. With nearly 15 years of industry specific expertise with all the FDA approved ECP and EECP Therapy devices, we created the most comprehensive product analysis to assist you in the process of selecting the right ECP or EECP Machine. Although each ECP and EECP company makes a device that has some useful features, many of them have substantial technological limitations. This analysis will provide you with details about each External Counterpulsation Therapy device so you can choose the best device for your needs. Be sure to carefully evaluate each of the 5 Essentials when comparing ECP or EECP machine technology. Be sure to compare the overall specifications of each ECP and EECP device before you make a commitment. The items to consider are the overall footprint of the unit, how many components comprise of the device, the thickness & design of the mattress for patient comfort, the materials used to make the device (plastic, wood, aluminum or steel) and the overall cosmetics (appearance) of the device. Remember, patient comfort as well as the comfort of your staff are important issues related to delivering ECP and EECP Therapy. There are much different configurations available make sure you do not regret the investment that you make. This is a difficult part of the evaluation because every company says that they have the most quiet device with the least amount of heat generated during operation. Our suggestion is to ask if they can provide the actual heat specifications generated by the device during operation. If they do not have that information, or unwilling to provide it, then you can assume they do not want you to know. The noise & heat is significant as it affects the experience of the patient and your staff. A noisy device can be a disruption to a medical practice. Be sure to also ask if the treatment room will need “sound proofing” to keep the device from becoming an issue. Compare the features and useability of each model ECP and EECP device out there. One way to capture an objective assessment of each device is to download our “Product Comparison”. This analysis will consider various features on each device such as the operating system of the device, how automated the system can be for your staff in terms of paperwork, manual calculations, and be sure to explore the reporting capabilities. Some machines only capture 8 second strips, others capture every minute of treatment for later retrieval of patient / data management. There is a big difference between what a company will promise before you purchase a machine and what level of support will be delivered after the sale. Keep in mind, each company has its strengths and weaknesses. Be sure to find out if the company has local technical support or if it comes out of the corporate office. Field technicians are helpful because it cuts down response times & costs when a problem should occur. Also, see whether the ECP or EECP device has internet or remote support capabilities for immediate questions without having to pay to have to schedule a clinical representative to come out for a simple question. Before you invest, do your homework! There are big differences in costs between the various companies and devices. Do not make the mistake of investing more money for an inferior External Counterpulsation therapy device just to support an in-efficient business. “Just because you pay more, does not mean you get more” with ECP and EECP Therapy devices. 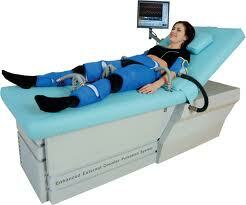 External Counterpulsation Therapy is simple technology that has been around for a long time. Do not let a sales representative try to complicate the technology to justify a higher price for the machine! Cost is crucial!